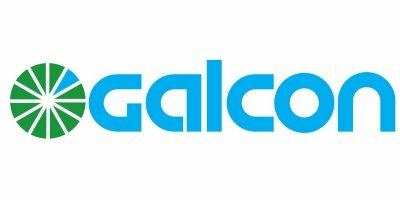 Galcon is a leading manufacturer of smart monitoring and control irrigation solutions for home owners, professionals and agriculture. We offer a wide range product line from single standalone battery operated controller to multi stations, wireless, web based irrigation and Fertigation system. Our products are designed to increase yield by optimal irrigation while conserving the valuable water resources and reducing the energy consumption. Our smart irrigation solution were certified by the USA Environmental Protection Agency (EPA) as Water Sense approved products. Established in 1983, Galcon is headquartered in Kfar Blum, Israel. It is owned by Kibbutz Kfar Blum Galcon currently sells its products in over 60 countries around the world. Our wide range of DIY (Do it yourself) user-friendly, AC electric & DC battery-operated controllers are ideal for the amateur home gardener interested in perfecting a personal green thumb. We offer an extensive array of specialized AC electric & DC battery operated controllers including wireless irrigation controllers and smart, web based controllers, designed for professionals. The GSI irrigation controller is a central control, wed based system for irrigation and water budgeting for public landscapes. It continues the legacy of Galcon irrigation products that are famous for their simplicity, efficiency and reliability at reasonable cost. Our new, state-of-the-art irrigation systems and controllers series is designed for agricultural use: open fields, greenhouses and climate control. From the simplest to the most complex application, we have the answers.